The telescope mount is rapidly being assembled in the factory at Asturfeito. No image credit. 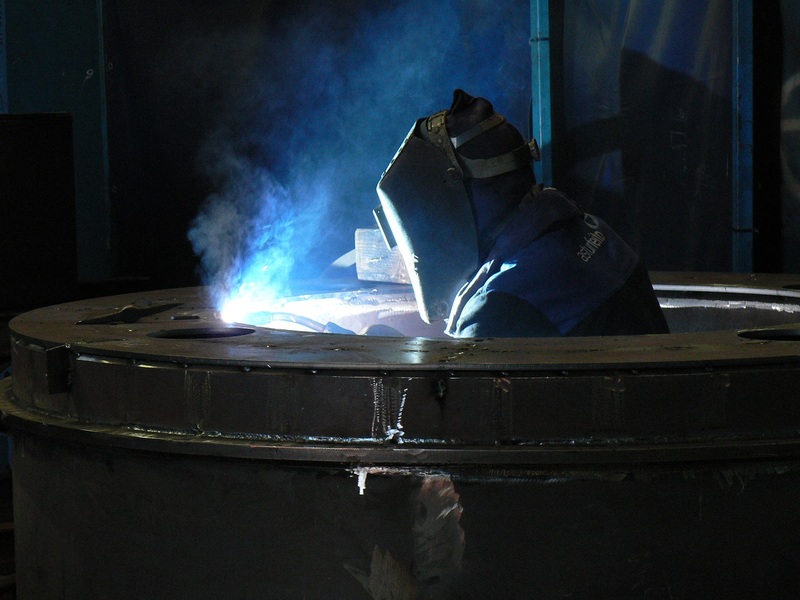 Work on the Telescope Mount Assembly (TMA) by subcontractor Asturfeito in Spain is progressing rapidly. An auxiliary second level platform has been installed, providing access to the azimuth floor. In addition, azimuth radial bearings have been placed and vertical seismic stops have been trial fitted. Currently, the plan is to float the azimuth structure on the hydrostatic bearings in July, which will be the first time the base of the TMA supports the full structural load. Achieving this milestone will allow the Telescope & Site team to start doing balance calculations and planning rotational tests of the TMA.